Imagine editing a document from the comfort of your own leg. Well, now you can with Tap Systems, the wearable mouse and keyboard that sits at the base of your fingers. This wearable works on any surface and you can send commands to any Bluetooth connected device (think phone, tablet, or laptop). This groundbreaking technology is truly unlocking the power of tapping and has a ton of promising use cases. Not only is it great for virtual reality and mixed reality games, it is also a great tool for rehab to regain and maintain hand dexterity. 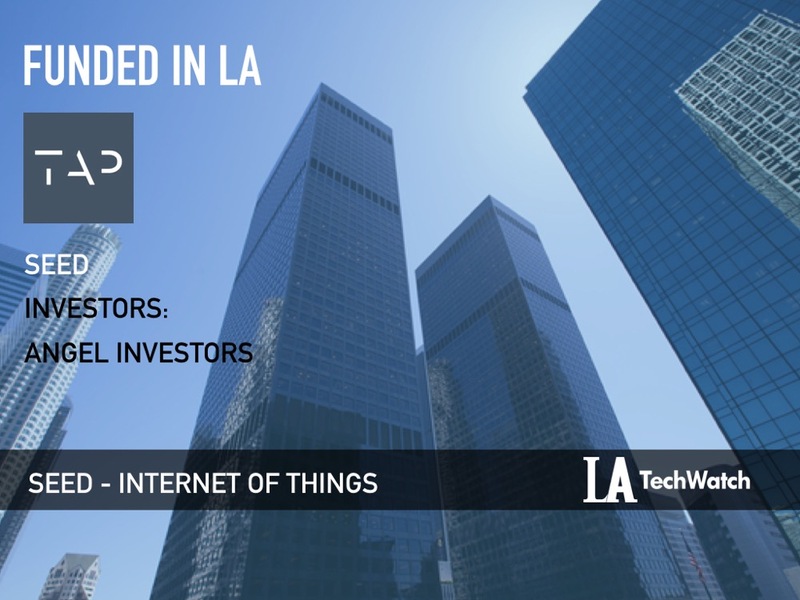 LA TechWatch met with cofounders Dovid Schick and Sabrina Kemeny who are true innovators in their field. We discussed the announcement of this startups Seed funding and the inspiration behind Tap Systems. It was a seed round of angel investors. Tell us about Tap Systems product or service. Tap is a comfortable wearable that sits at the base of your fingers and replaces your keyboard and mouse. By simply tapping the fingers of one hand on any surface (your thigh, the chair, a table), you create letters, numbers or send commands to any Bluetooth connected device such as your phone, tablet, or laptop. Tapping is natural, ergonomic, and satisfying. It is completely tactile and eyes free so you no longer are enslaved to your screen. You can stay connected in cyberspace while remaining attentive to what is happening around you. 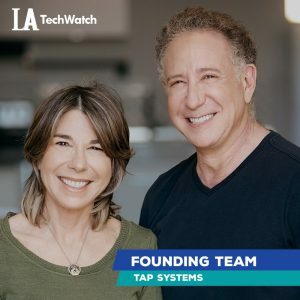 What inspired you to start Tap Systems company? This project started after I [Dovid] sold my previous company (NASDAQ: SCHK), and I became fascinated by the problem of how we will communicate with the coming wave of wearable and virtualized smart devices. This was in 2013 when Google was pre-announcing Google Glass, and wrist-wearables were beginning to emerge. As screens are disappearing how will we communicate? 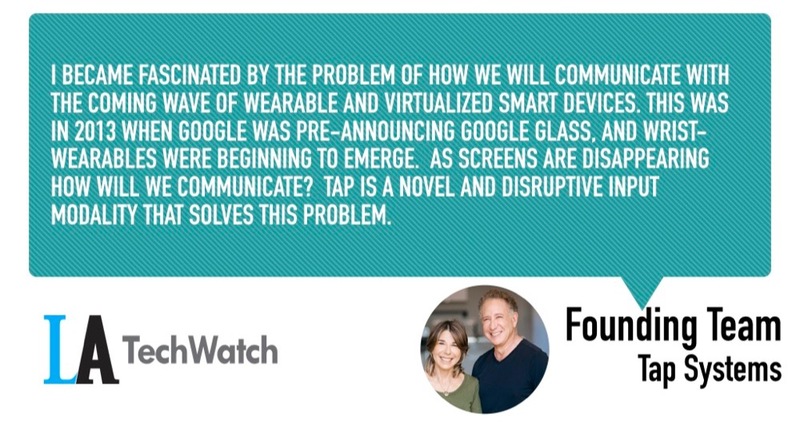 Tap is a novel and disruptive input modality that solves this problem. It proposes that the dedicated physical key-surfaces which we have used for generations are no longer useful or necessary in the technological world that we live in today. Now, we can input data quickly and precisely just by using our fingers on any surface. How is Tap Systems different? Tap is the first technology which allows rapid, precise data input without using keyboards or dedicated input surfaces. Tapping is inherently a tactile method, which does not require you to look at what your fingers are doing. Tap is also much easier to learn that typing on a traditional keyboard. What market is Tap Systems targeting and how big is it? Funding takes discipline and perseverance. Knock on many doors and don’t give up. Tap is the category leader in a space with unlimited market potential. Viability of the modality and technology have been proven. And probably most importantly, we have a team with a strong history of execution and profitable exits. Keep your eye on the things that will move you forward. Don’t get sidelined by things and people that sound good but won’t move you closer to your goal. Trust yourself. You are the expert in your business. We will continue to listen to our customers and innovate. Hiking or biking in Griffth Park.